Cocospy Review 2019: a Flawless Phone Tracker App? 3ptechies » Reviews » Services review » Cocospy Review 2019: a Flawless Phone Tracker App? Cell phone trackers or spy apps as they are popularly called are suitable for everyone including parents and employers of labor. They do an excellent job in helping people monitor other people’s activity on their phones. The Cocospy app is one of those superb cell phone trackers you could get out there. It is a lovely cell phone tracking app that’s renowned for its silent monitoring and parental control features. In this review, you’ll learn about Cocospy cell phone tracker app; its features, prices, and how to use. Is Cocospy a Good Spying App to Use in 2019? Cocospy tracker app isn’t different from other utility application on your mobile phone, only that it comes with spying capabilities. It allows you to secretly see what other people are doing on their devices. That means that – with this app, you will be able to see all the messages, calls, voice notes, etc. that’s sent or received on a monitored device. Also, you will be able to track the social media activities of the tracked person/monitored device. The Cocospy smartphone app is merely an app that lets you secretly watch other people’s activities without a single trace. It further supports location tracking; so, you’d know where a particular person is at any time of the day. Interestingly, the app is available for iOS and Android. Therefore, everyone is getting access to use this app from any of Android smartphone or iOS device. Many features are supported on this app of which circles around spying, tracking, eavesdropping and monitoring other persons/devices. This app allows you to spy on people’s daily activities on the following platforms: Snapchat, Instagram, FB messenger, WhatsApp, and Viber. You’ll be able to see the following information from monitored devices without the knowledge of the owner. The Cocospy app lets you see incoming and outgoing messages on a monitored device remotely. It even provides you with the timestamps for every text message, and you can download pictures, documents, and other media files sent along with those texts. Furthermore, adding to your remote control capabilities, Cocospy allows you to check the contact information of all SMS recipients and senders on the monitored devices. All calls received or sent through a monitored device will be available on your Cocospy profile dashboard. Here, you will see the real call duration for each call made. Also, you’ll get to know the total number of calls made on the device within a defined period. This is one of the best features for parental control. With the integration of this feature into the Cocospy app, you will receive instant notifications once a user handling the target device tends to cross a boundary/limit set by you. That means, you will be able to create a geofence (visual threshold) for a certain device and once the device user is outside this marked zone, you’ll receive an instant alert on the Cocospy app. However, a target device location history is available based on when the user gets into a spot. Secretly and without the supervised person knowing, Cocospy releases to you the details of what someone is browsing on his/her phone which is monitored. Also, time stamps are available to show you the exact period the user log in to various websites plus how long he/she spends browsing specific web pages. These are the remarkable features of this cell phone tracking app. Recently, it is named among the best apps to view Snapchat stories secretly in an earlier post here on 3rd Planet Techies. Well, Cocospy works perfectly well for spying on people’s social media activities and in keeping in touch with monitored persons either for personal or professional reasons. Also, the pricing of this app is competitive. It’s well cheaper than most other Spying apps out there. Alternatively, you can pay for Cocospy subscription using PayPal or your typical credit card. For Android OS devices, the pricing of Cocospy app starts from $39.99 (monthly license) to $99.99 (one-year license) for one Android device which is the basic plan package. The premium plan package starts at $49.99 (monthly license) to $119.99 (one-year license) for one Android device (more features inclusive). Then, lastly, the family plan package starts at $69.99 (monthly license) to $199.99 (one-year license) for three (3) Android devices (comes with all premium features). Now, for iOS devices, the pricing of Cocospy app is thus; $49.99 (monthly license) to $129.99 (one-year license) for one iOS device on the premium plan package. The family plan package starts at $99.99 (monthly license) to $399.99 (one-year license) for five (5) iOS devices. Lastly, the business package plan starts at $399.99 (monthly license) to $999.99 (one-year license) for 25 iOS devices. Noticed anything between the Android and iOS pricing for Cocospy? The iOS packages didn’t include a basic plan but include a business plan. On the other hand, Cocospy for Android comes with a basic plan but lacks a business plan; hence, while the iOS version can be used with up to 25 Devices, the highest Android devices to use with Cocospy is just 5. The steps to use this app on both Android and iOS devices is the same. Just as you would install and start using any other app on your mobile device, the same works with Cocospy. It is not available on app stores which means it can only be downloaded from their official website. This is because you have to sign up and have an account with Cocospy before you’d be able to use the app on any device. Once your account is created, you’ll get a control panel/dashboard to manage all tracking/spying activities on the targeted devices. On Android devices, Cocospy has to be installed on the phone you wish to track or spy on. However, it does not require root access to spy on the target device’s SMS, social media activities, etc. The app icon can be hidden entirely on Android device so that the user doesn’t know you installed a tracking app on their device(s). Unlike Android, all you’ll need is the iCloud details of the person(s) you wish to track their cell phone activities. 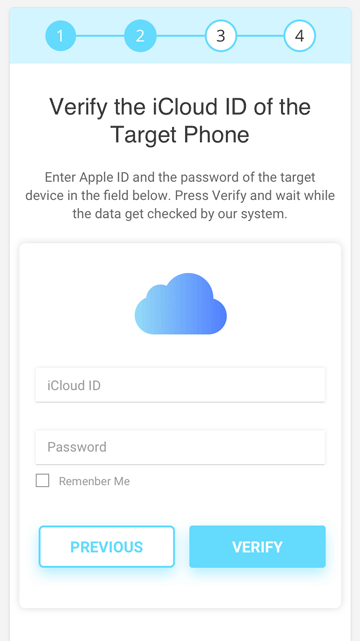 Just enter their iCloud id, and you’ll gain unlimited access to explore all the tracking, parental control, and spying features of Cocospy app for iOS devices. 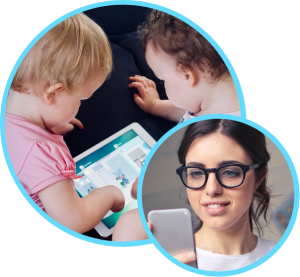 While I haven’t used the app long enough to make a flawless recommendation, I’ll like to say that Cocospy is a great spying app for parents and employers. The control panel/dashboard is straightforward to understand, and their pricing is extremely competitive. 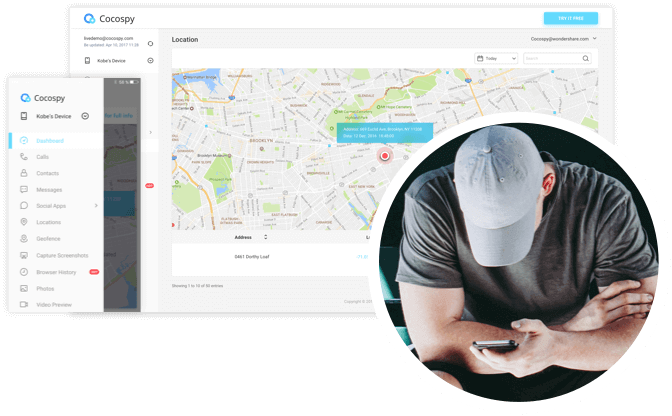 It comes with a lot of useful features and has gained a lot of users trust leading to its presence among the top-rated cell phone tracking apps. Will you switch to Cocospy for its ease of use and avalanche of features? Tell us about your experiences (irrespective of negative or positive) by using the review widget above. Wao great author for being a part of such a knowledge base and informative reading here. Describe the features of cocospy in brief for parental as well as security use. Also made great efforts to enhance its use and way to install for the common man in a simple way for Android and iOS mobile and for multiple purposes. I do not like this app. Paid and I fully regret it. The app has several things I wish I would of known before paying over $100 for a yearly membership. 1. It gives time on GMT time instead of our timezone. 2. Snapchat feature really doesn’t work the way the app work and you really can’t see who the messenger is. 3. When reading text you have to click the drop down to get from oldest to newest. 5. the phone only updates every 20 hours. Sadly I already paid and I don’t see a refund option. I will make sure to not renew. Thanks for sharing your honest review and experiences, Ana. We appreciate that a lot.